I do not see any permanent nor temporary ban of your friend's name or anyone from Switzerland in last month. If you could send me your IP's via PM it would be of more help to me. Otherwise, there is not much we can "look into". Also, are you sure you were banned on ? There are similiar named servers that do not belong to us. I come from Swizerland but I live in france, so does my friend PwnRage ! You were banned by Drieske. Nothing to do with racism but we do hate cheaters. I don't know how to send a private message, u wanted my IP adress ? I'll try to figure it out ! I checked the action log (looks like we have a problem for codemonkeys). You were both banned for using cheats by our adming Drieske. You will need to wait for his reply on those cases. As the admin rules apply - only banning admin can unban... if you are not proven guilty by the banning admin, that is. Down on your knees you don't look so tall. Open your eyes and the empire falls. Ninja post above by Crapper shows pbss's of your friend cheating. No ban for him. Although in your case we should still wait Drieske. But still... I can't believe he would cheat :/. These screenshots, what is it ? Screenshots taken from his screen ? How does it work ? Punkbuster has a function to make a screenshot of your screen. Including any cheating software. Admins can request taking such screenshots of suspected players and view them. Havent' mumbled him since yesterday. I hope it was a nameswitcher and not him. its 99.9% your "friend" who used the cheat on the screens above, its a french IP as well. about your ban we will have to wait for Drieske to upload his demo but im sure there will be sufficient proof of you using the same / similar cheat as your friend did use. It is a "random bug" that happens when you use a wallhack. I assume Punkbuster conjured those characters behind walls then? I do, please ask Dresde to unban me ! I was referring to the Punkbuster screenshots above, where you can clearly see people behind the walls. 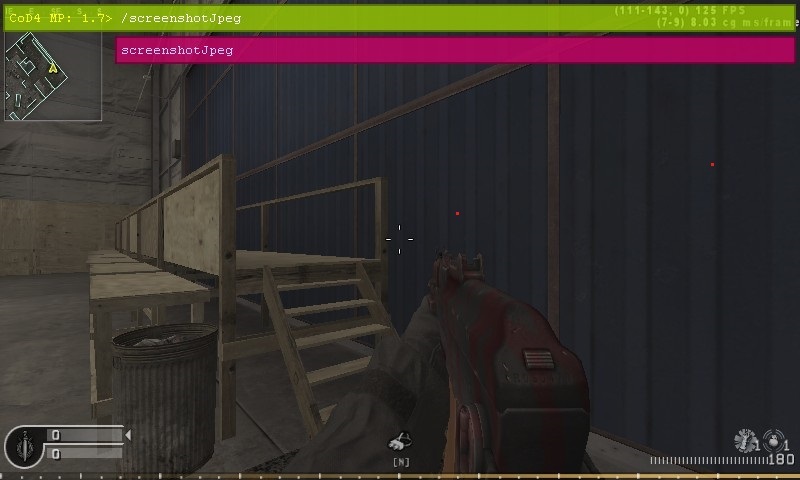 The red dots are most probably caused by the cheat's injection or by photoshop. One thing is clear, your friend used a cheat, got cought on PBSS and will not get an unban, period. As I said previously. In your case, you will have to wait for Drieske to deliver a proof of you cheating or unban you. Those screenshots clearly indicate hacks which means your friend will remain banned forever. He isn't telling the truth, we've seen those screenshots a dozen times. However there is no proof provided for the ban on you, so you might still be unbanned. Please be patient and wait for Drieske to provide proof, we will review this and decide whether you remain banned or not.